There are long delays on the A1 around Stamford this morning, Thursday November 24, after a serious collision involving a two cars and a lorry. 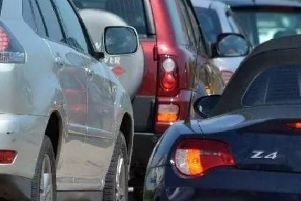 The collision took place on the southbound carriageway near Wittering and is causing long queues back past Stamford to Great Casterton. It was reported to police at 6.37am and was cleared soon after 8am. However long delays remain in the area. A police spokesman said nobody was seriously injured in the collision.